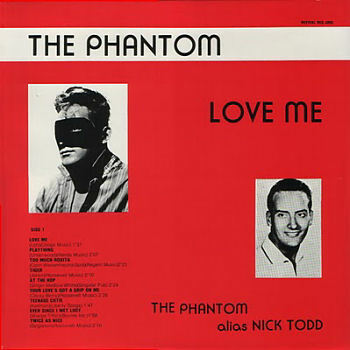 The compilers of this LP mistakenly believed that Nick Todd was The Phantom. 2. Todd, Nick Plaything Dot (Calif.) 45-15643 1957/Oct. 5. Todd, Nick At The Hop Dot (Calif.) 45-15675 1957/Dec. 14. Coe, Jamie How Low Is Low ABC-Paramount (N.Y.) 45-10267 1961/Nov.